One night at a campus party, Danny came clean, telling James she thought he was cute. He wasn’t sure how to respond: “That’d never happened to me before,” James admits. Within weeks, though, the two were inseparable. Their relationship remained strong even as James headed off to China to play professional basketball. He was supposed to be there a year, which turned into five. Meanwhile, Danny graduated and took a job in New York City. 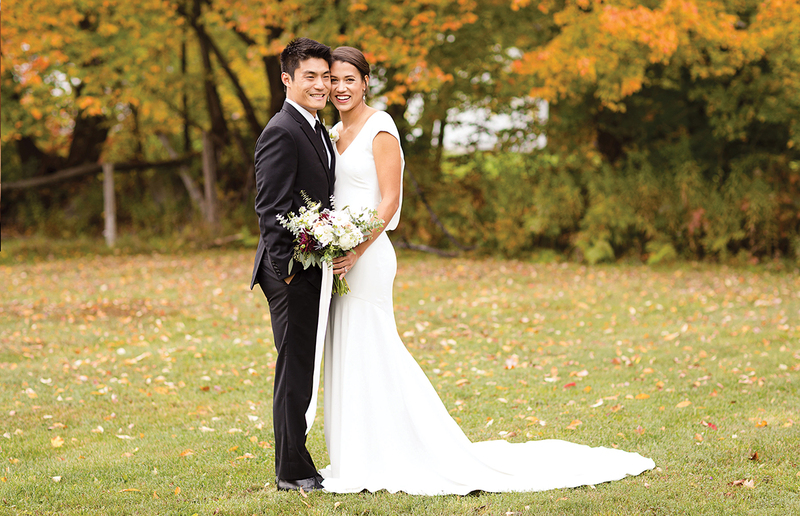 For their wedding day (planned from China, where they were both living at the time), the couple simply wanted a big party with good food, drinks, and music. 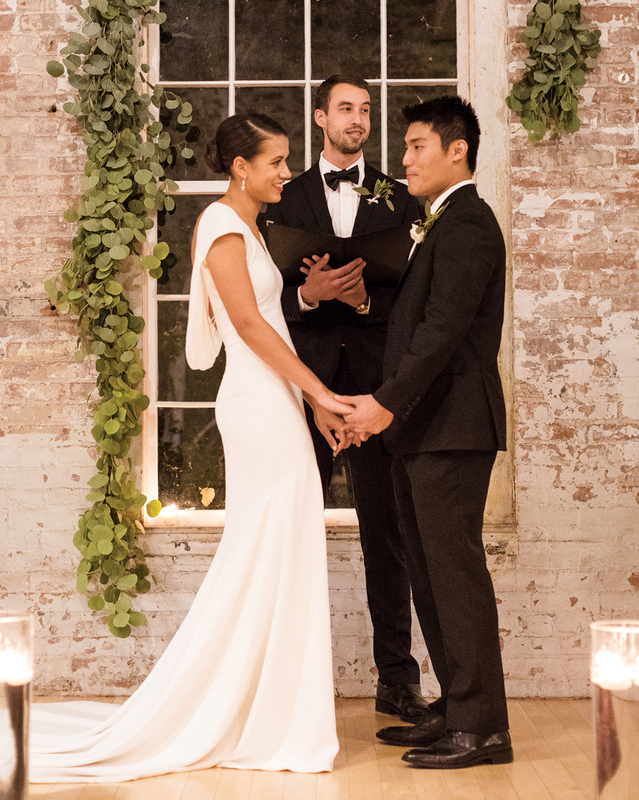 The ceremony, held amid exposed bricks at Mass MoCA, was “simple, beautiful, and intimate,” Danny says. 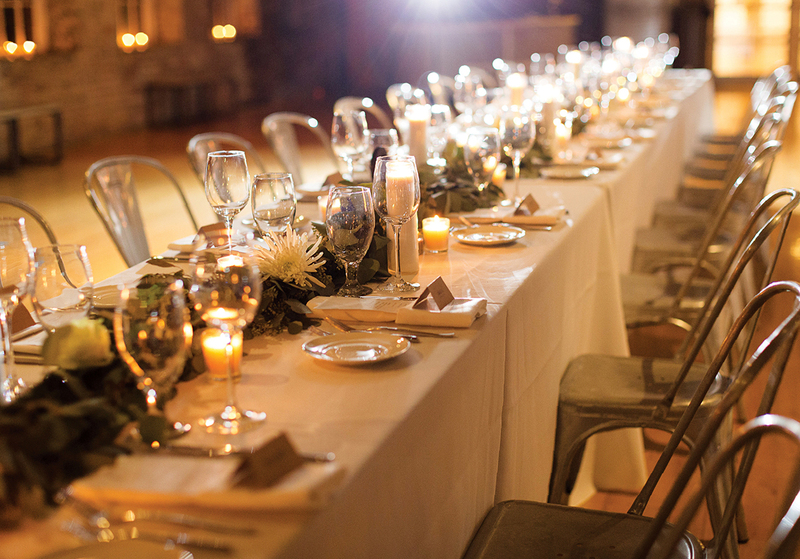 The whole evening “exceeded our wildest dreams.” One might even call it a slam dunk. The bridal party toasted to the rain holding off for the wedding. Longtime friend Ethan Timmins-Schiffman, who takes credit for introducing the couple, officiated the “short and sweet” ceremony, as Danny describes it. The couple loved the look of long tables, which were decorated with lots of greenery and candles to make the space more romantic. 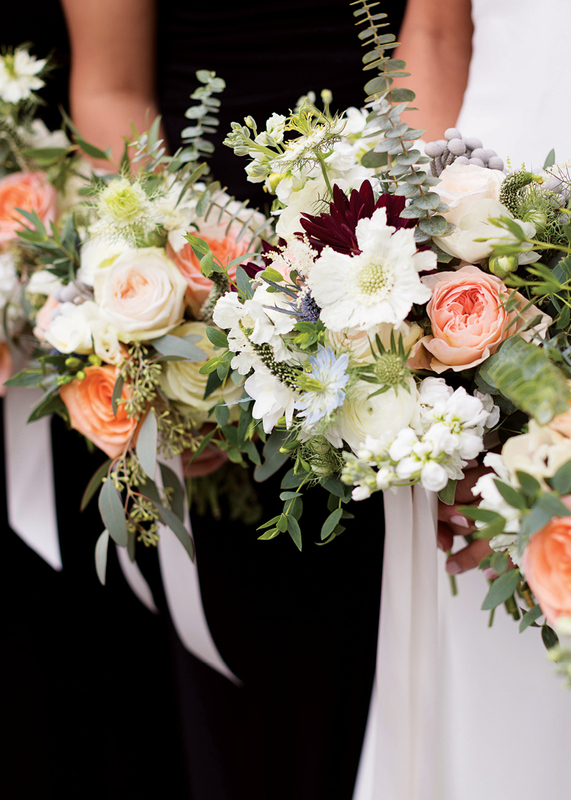 For Danny’s bouquet, Stems + Co blended greens and darker, moody tones with white scabiosa and ranunculus as well as blush garden roses. The two tallest members of the wedding party—both basketball players—measured 6-foot-8-inches. 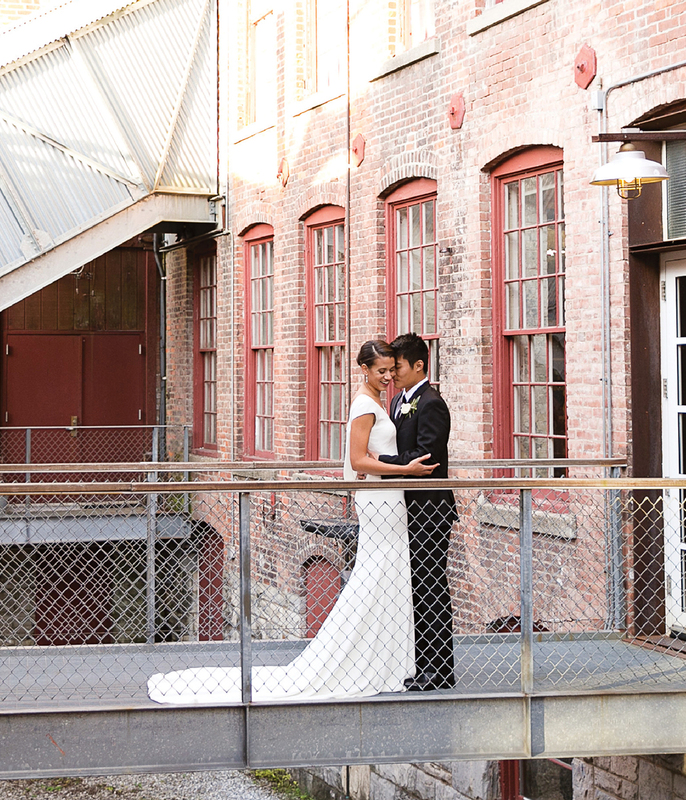 Housed in a 19th-century mill building, Mass MoCA embodied the industrial-minimalist vibe the couple was looking for. 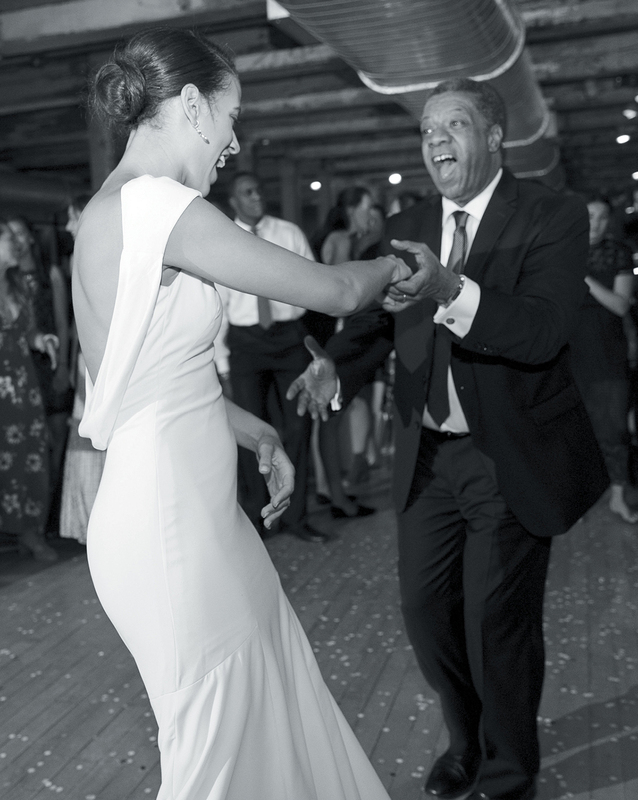 Danny’s father chose Stevie Wonder’s “Isn’t She Lovely” for their dance together. 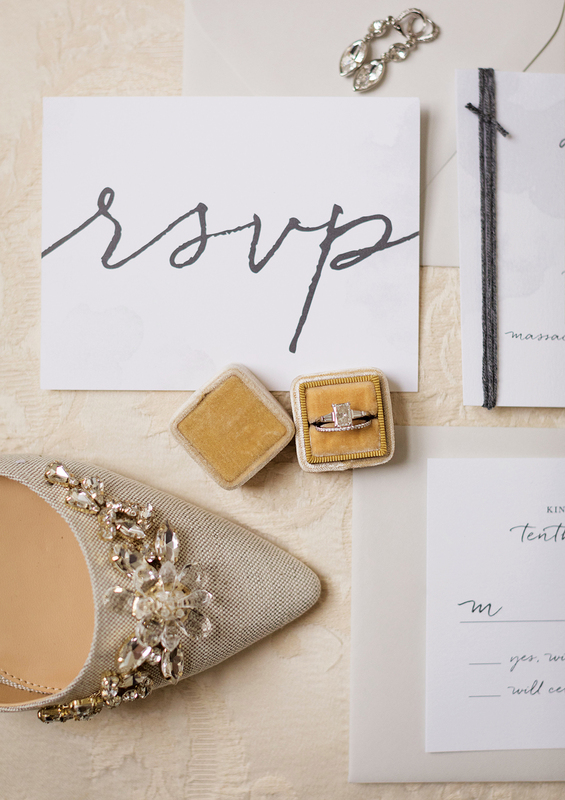 A closeup shows Danny’s earrings, rings, stationery, and shoes. 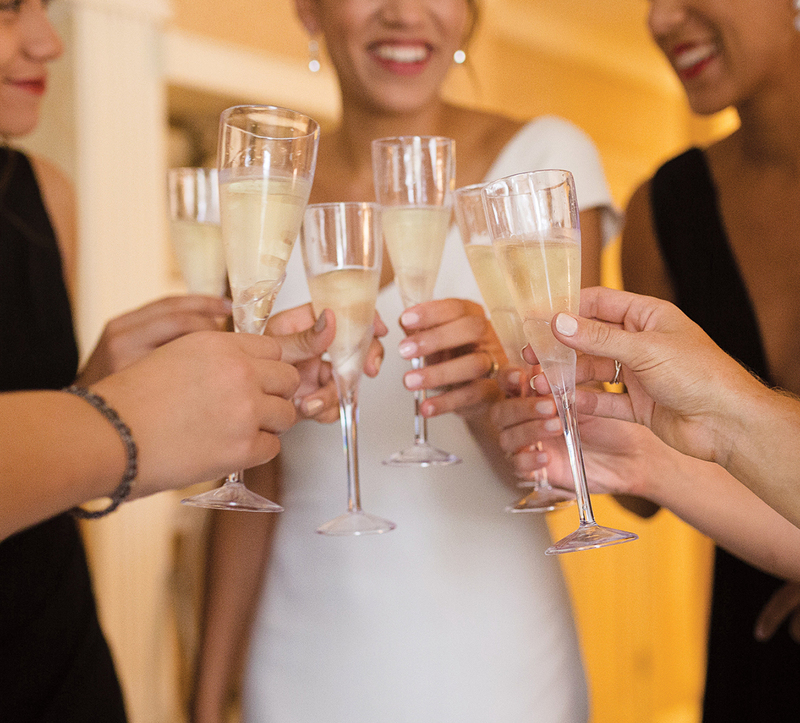 “Since I am so tall, I chose to wear flats on my wedding day,” she says.